For the grand finale of our Fourth of July dinner, I made red, white, and blue parfaits layered with tart cherry and vanilla yogurt gelatin topped with a layer of blueberries. 🙂 Yum! The little desserts did take a bit of time to make since I needed to wait for each layer to set before I could pour the next, but most of that time was not spent actively in the kitchen. I could kick back and read a Fourth of July mystery out on the deck while I waited. 🙂 But I think they were well worth the effort. Plus, they can be made a day or two ahead, which is an added bonus. If you didn’t have time to cook all of the red, white, and blue dishes you wanted to make this weekend, this one would also be perfect for Bastille Day on the 14th! Set aside 4 serving glasses. I used two tall parfait glasses and two martini glasses. I think wine glasses would also be pretty. In a medium bowl, sprinkle the gelatin over 1 cup of cherry juice. Let the gelatin bloom. In a medium saucepan, bring the remaining 2 cups of cherry juice to a boil. Once it is boiling, remove from the heat. Add the bowl with the gelatin to the hot juice and whisk well. Transfer the mixture to a container with a spout. 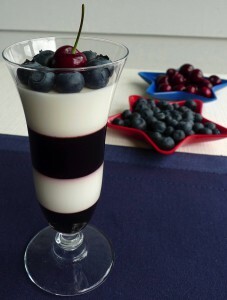 Fill the serving glasses about 1/4 full with the cherry gelatin. Refrigerate the glasses until the red layer is set. (Mine took a couple of hours.) Set aside the remaining cherry gelatin and hold at room temperature. In a small bowl, add the gelatin to the water and let it bloom. In a medium bowl, add the yogurt and vanilla. In a medium saucepan, bring the milk and sugar to a simmer, whisking to dissolve the sugar. Once the milk is simmering, remove from the heat, add the bloomed gelatin, and whisk to combine. Let the milk cool to room temperature. Pour the milk mixture into the bowl with the yogurt mixture and whisk until well combined. Transfer the mixture to a container with a spout. Pour the white gelatin onto the set layer of red gelatin so the height of the white layer is approximately the same as the red. (Make sure the gelatin layer below is truly set before pouring the next layer on top.) Refrigerate the glasses until the white layer is set. Set aside the remaining white gelatin and hold at room temperature. Repeat the layers until you have two layers of red and two of white. Chill until well set, preferably overnight. Top with blueberries and a cherry in the middle right before serving. July not only has a big celebration for Canada on the 1st and the USA on the 4th, but France’s Bastille Day falls on the 14th. 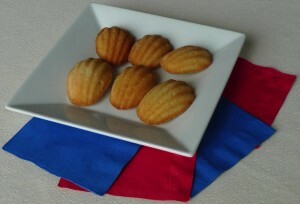 For a belated celebration, I made French madeleines. They are so elegant, but also very easy to make! I tried a little experiment with this dish, since it is traditionally made with butter (as most French dishes are…Ha!) I made half the recipe the traditional way, with butter. I figured they are tiny little cakes; so a little butter in moderation is fine. I made the other half of the recipe with Earth Balance. I baked them in the same oven for the same amount of time, and observed the difference. I have to say, they were *both* quite delicious. 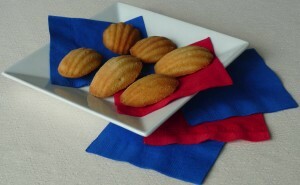 There was not a bad madeleine in the bunch. 😉 The taste is slightly different, but both lovely. The butter version looked more beautifully golden brown, and spread out in the pan a little more. The Earth Balance cakes were a tad lighter in color, less golden. They also were slightly smaller cakes, since they didn’t spread out in the pan quite as much. The photo at the bottom displays the difference…The ones on the left are made with Earth Balance, and the ones on the right are made with butter. Your choice! I used a tried-and-true recipe from Bon Appétit magazine. Preheat oven to 375°F. Generously butter and flour pan for large madeleines (about 3 x 1 1/4 inches). * Using electric mixer, beat eggs and 2/3 cup sugar in large bowl just to blend. Beat in vanilla, lemon peel and salt. Add flour; beat just until blended. Gradually add cooled melted butter in steady stream, beating just until blended. Dust cookies with powdered sugar if desired. *A metal mold with scallop-shaped indentations, sold at cookware stores. Happy Bastille Day! La Fête Nationale! I used this holiday as an opportunity to celebrate the cuisine of France. 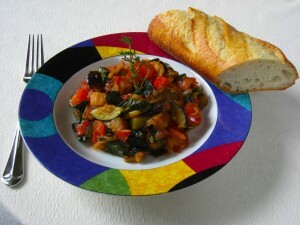 I tried a classic that I have never tried before…Ratatouille. It’s a perfect summertime dish because it is made up of many vegetables that are in season at the moment. 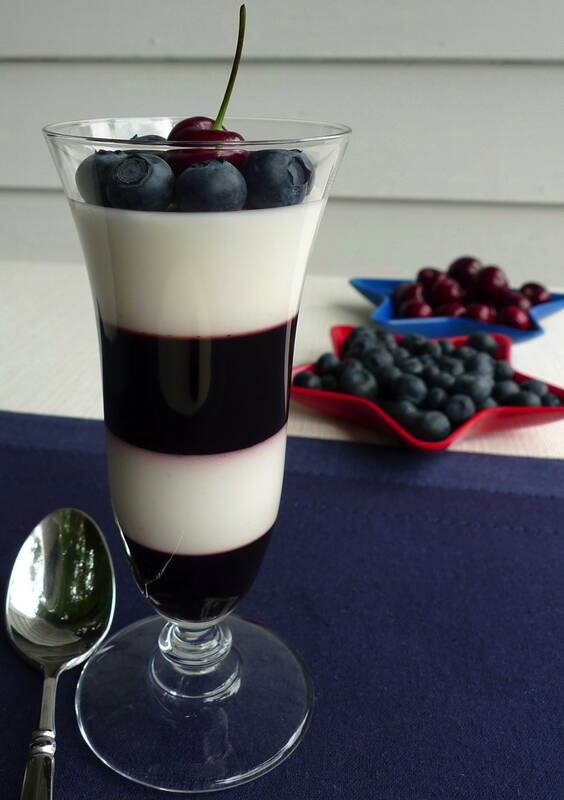 It is simple and healthy and delicious. A perfect combination in my book :). I was inspired by the Epicurious.com website since they laid out several French menus for the holiday. 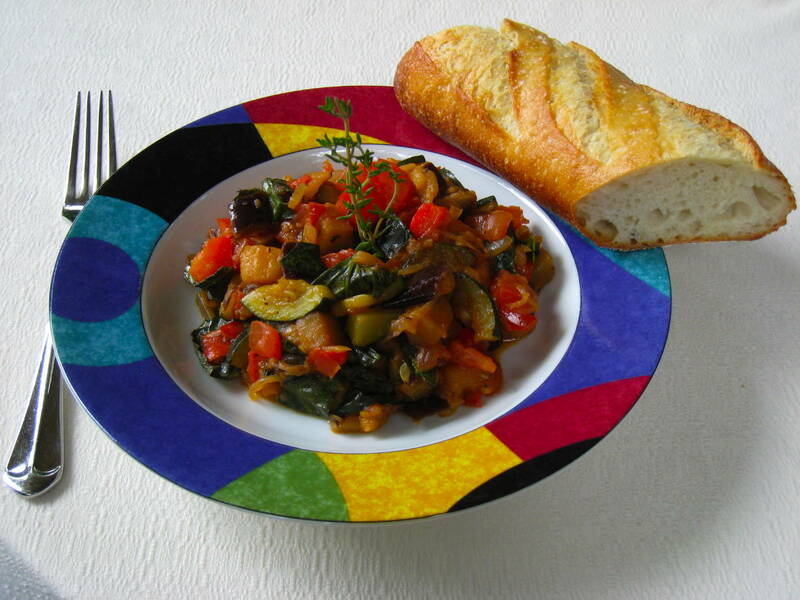 I followed their recipe for ratatouille from Gourmet magazine very closely since, as one reviewer said, it’s “the gold standard of ratatouille.” How can I possibly improve upon that? 😉 I am just passing it along to you if you’d like to have a sunny French meal this summer! Garnish with a sprig of fresh thyme if you have it on hand. Serve as a main course with a baguette or as a side dish.